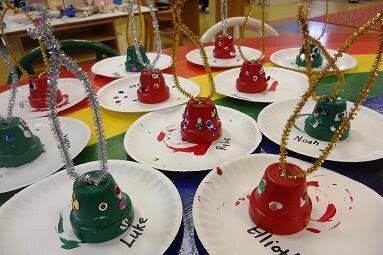 Both of my classes made bells this week. 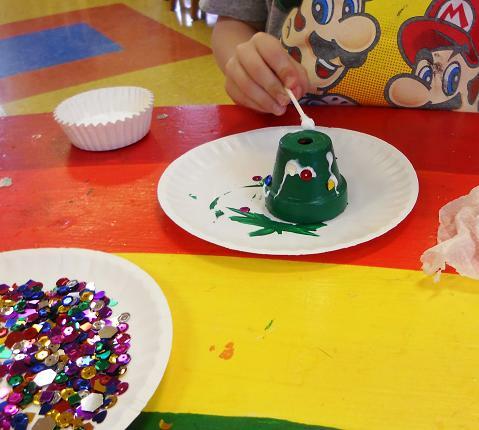 The three-year-old class made ornaments for our Christmas tree, a glittery "bell." 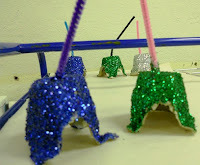 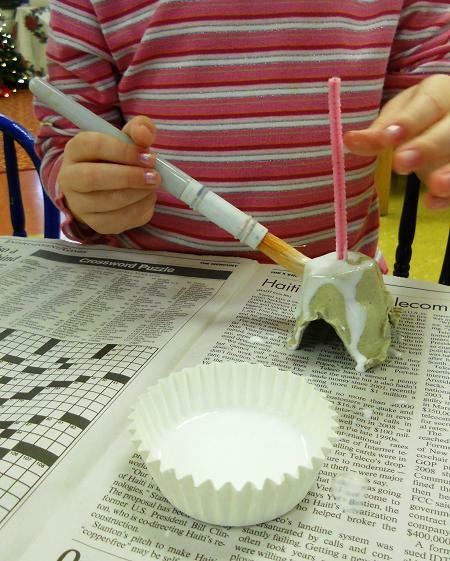 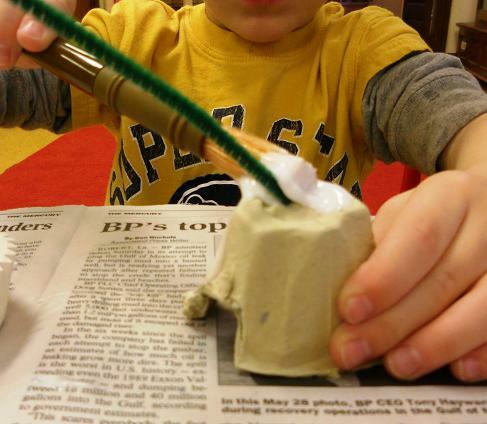 We used egg carton cups, pipe cleaners, glue, and glitter. 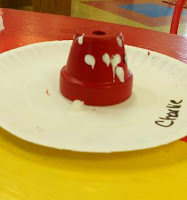 The children painted the cup with glue. Then we covered them with glitter. 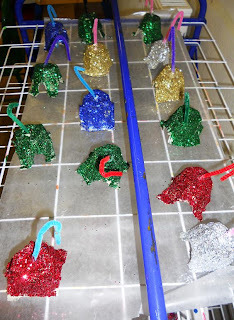 When they were dry they hung them on the Christmas tree. 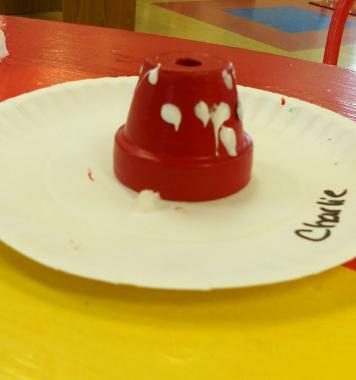 The Pre-K's bells were a little bit more involved. They took a couple of days to make. 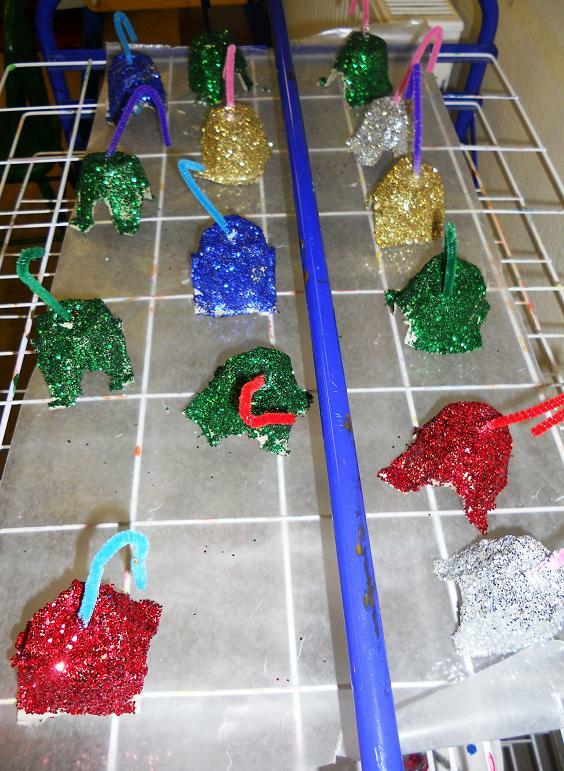 They are going to be our parent presents. 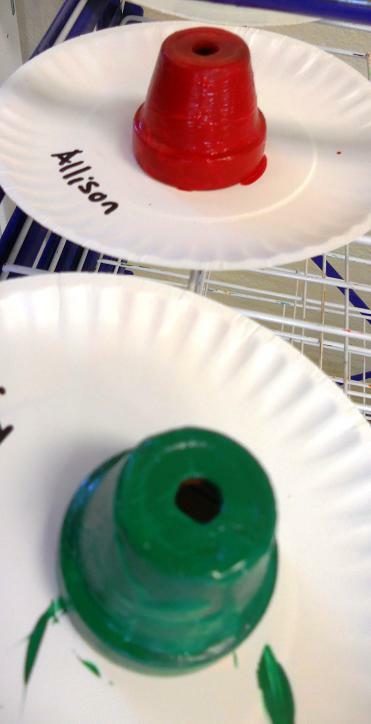 We're going to wrap them later this week. I had the children paint the flower pot either red or green. I actually bought paint that was with the flower pots so that they would get covered more quickly. 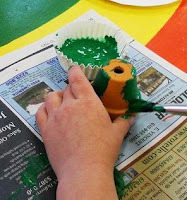 You can probably used tempera, but I wasn't sure how many coats of paint it would need to cover the pot completely. We don't have that many days until our Christmas break so I was trying to make it as few steps as possible. 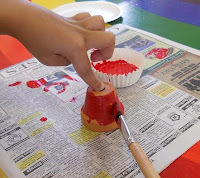 After the paint dried, I had cups of tacky, Q-tips, and sequins for them to decorate the pots. 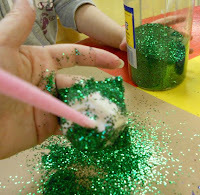 I had them put dots of glue on the pots then put on sequins. 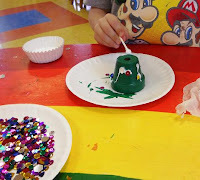 Finally, we threaded a bell on a pipe cleaner, fed it up through the hole in the pot, twisted the ends together and we had our bell. 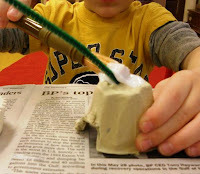 They even ring.